136 pages | 10 B/W Illus. International borders have become deadly barriers of a proportion rivaled only by war or natural disaster. Yet despite the damage created by borders, most people can’t – or don’t want to – imagine a world without them. What alternatives do we have to prevent the deadly results of contemporary borders? In today’s world, national citizenship determines a person’s ability to migrate across borders. Migration Borders Freedom questions that premise. Recognizing the magnitude of deaths occurring at contemporary borders worldwide, the book problematizes the concept of the border and develops arguments for open borders and a world without borders. It explores alternative possibilities, ranging from the practical to the utopian, that link migration with ideas of community, citizenship, and belonging. The author calls into question the conventional political imagination that assumes migration and citizenship to be responsibilities of nation states, rather than cities. 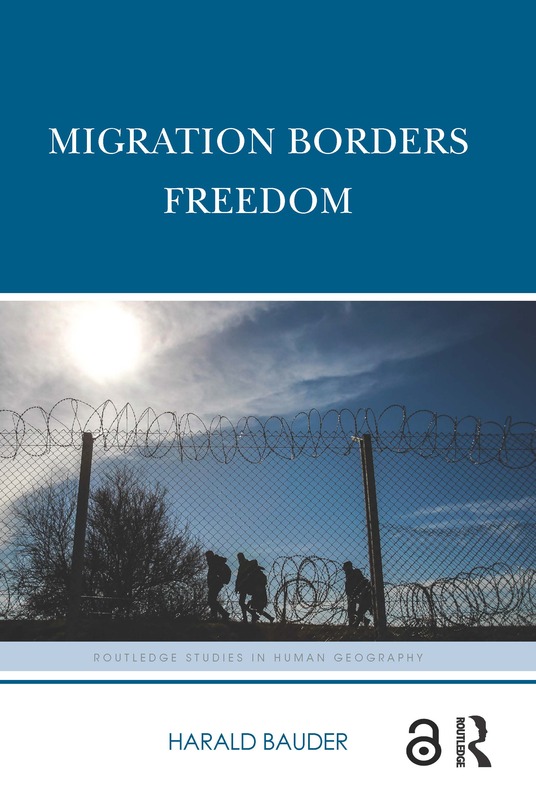 While the book draws on the theoretical work of thinkers such as Ernst Bloch, David Harvey, and Henry Lefebvre, it also presents international empirical examples of policies and practices on migration and claims of belonging. In this way, the book equips the reader with the practical and conceptual tools for political action, activist practice, and scholarly engagement to achieve greater justice for people who are on the move. Harald Bauder is Professor in the Department of Geography and Environmental Studies, and the Graduate Program for Immigration and Settlement Studies (ISS) at Ryerson University in Toronto, Canada, and the founding Academic Director of the Ryerson Centre for Immigration and Settlement (RCIS). The American Association of Geographers (AAG) annual meeting in Boston critics met Harald Bauder and other authors to discuss central themes of their books and connect it to wider understandings of politics, resistance and social change. In this video Harald Bauder addresses the panel’s points on the role of dialogue and activism in a post-Brexit, Trump-led world. He describes an ongoing dialectic between practice and social change. Further, he explains that the term possibilia, which he coins in his book, describes a world beyond our current imagination, and that in the meantime we need to focus on existing structures, or contingent possibilities, for change. View more videos with Harald Bauder speaking at the event.